During our Christmas break Ruth and I had the pleasure of making a short visit to the Wombeyan Caves south of Sydney (see map below). 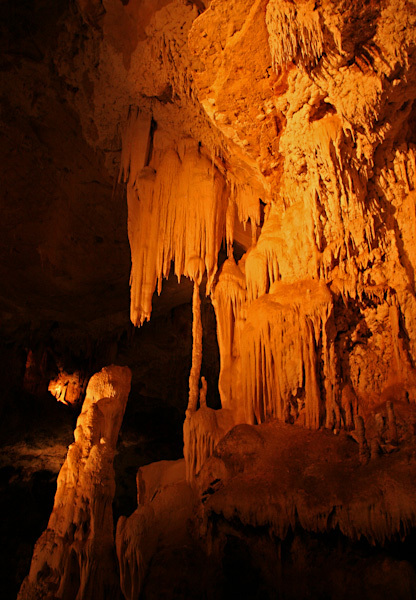 These are some of the most beautiful caves caves in Australia and several are readily accessible on self and ranger guided tours. Being the Christmas to New Year week all of the guided tours were booked out so we did the self guided tour of Fig Tree Cave without great expectations. 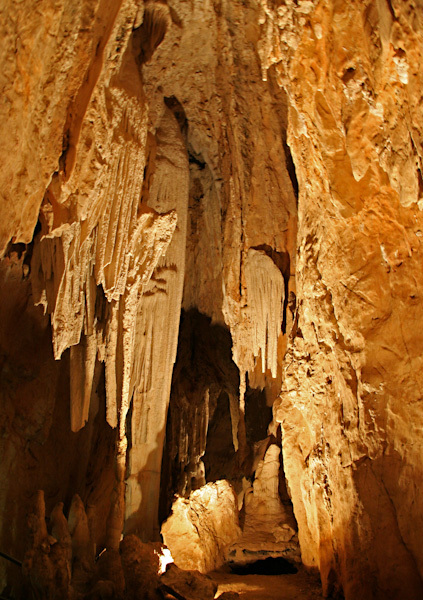 We were to be pleasantly surprised, Fig Tree Cave features several quite large caverns and a range of well preserved features thanks to a very well thought out path that gives good views of the cave while keeping people far enough away to protect them from the worst of the effects of visitors. 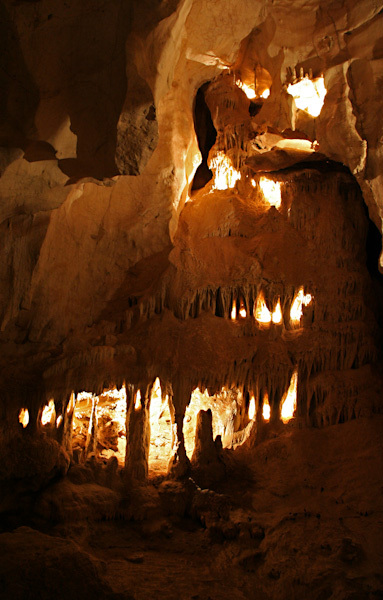 While the caves are a long drive from main roads it is well worth the effort. 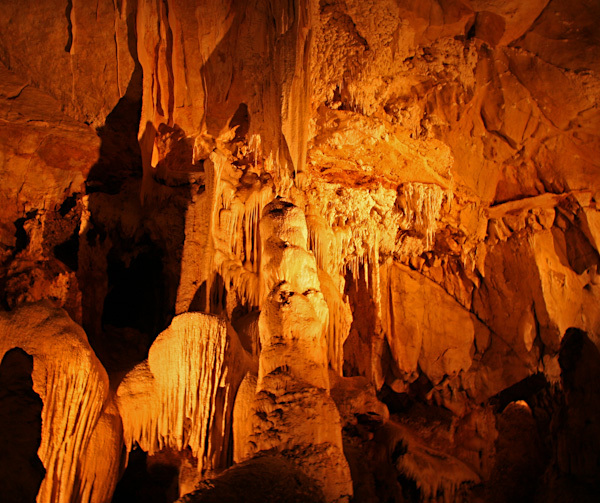 The easiest accesses are from Golburn and Oberon, while the most interesting drive in is from Mittagong. Allow plenty of time for this route however as it includes about 60 km of very slow dirt road. 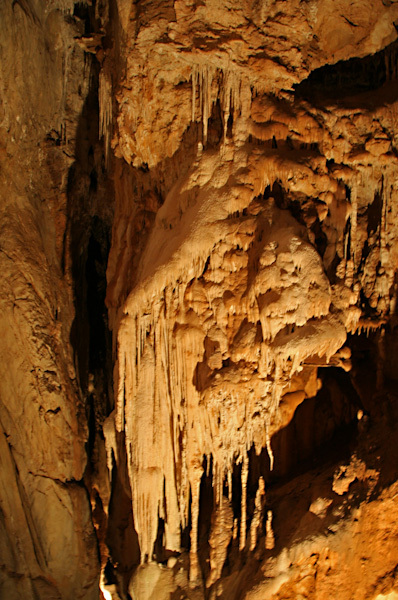 This months photo’s show some of the highlights of Fig Tree Cave. Some good sites with further information on Wombeyan Caves are www.walkabout.com.au/locations/NSWWombeyanCaves.shtml and http://www.showcaves.com/english/au/region/Wombeyan.html. Disappointing you couldn’t get on a guided tour, as those caves are much, much better than the self-guided one. Still I guess you can only do whats possible when you went. Definitely disappointed, but we hadn’t booked ahead or anything. The self guide cave was good enough however to make us want to go back and experience the other caves in all their glory, Paul.